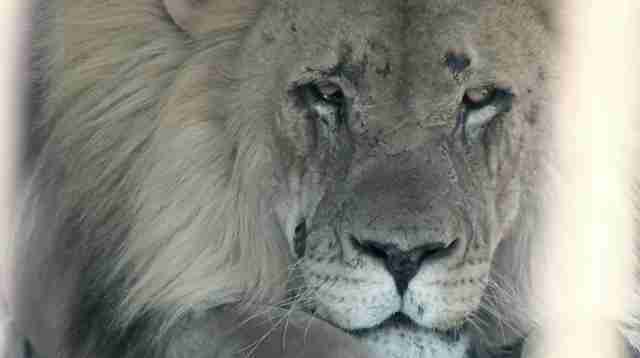 It Just Got Much Harder To Bring A Lion Head Into The U.S.
People are starting to realize how stupid trophy hunting is. In perhaps one of the biggest blows yet to the canned lion hunt industry, the U.S. will no longer permit the importation of canned trophies into the country. "Today, I'm proud to announce decisions regulating the import of sport-hunted lion trophies under the ESA [Endangered Species Act] from South Africa - home to many of the remaining wild lion populations," Dan Ashe, U.S. Director of the Fish and Wildlife Service, wrote in a Huffington Post op-ed announcing the regulation. "Beginning today, the United States will not allow the import of lion trophies taken from captive lion populations in South Africa." 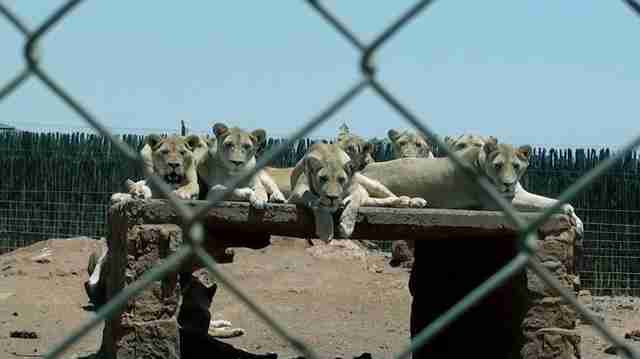 Every year, thousands of lions are kept locked up in "canned hunt" facilities in South Africa and other African countries. The mothers are bred constantly, having their hours-old cubs snatched away from them as soon as they're born so they can be forced to produce a new litter. The cubs are rented out to cub-petting attractions, or groups that encourage volunteers to pay to "help raise" the young cubs, claiming that the lions will be used for conservation programs - fueling virtually all the cub-petting attractions in Africa. 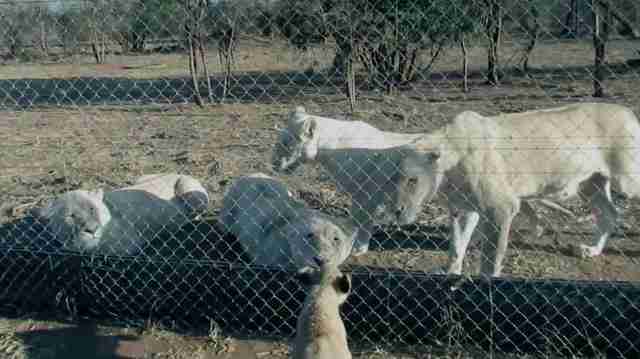 But once the lions are no longer cute enough to make money, they're sent back to the canned hunt facilities. The hand-raised lions are then sold off to hunters who want the thrill of a lion head on their wall without going through the work of a real hunt. The hunters can select an animal from a catalog - paying premiums if the lion is "pretty" - and the animal is released into an enclosure so the "hunter" can shoot it without it running away. 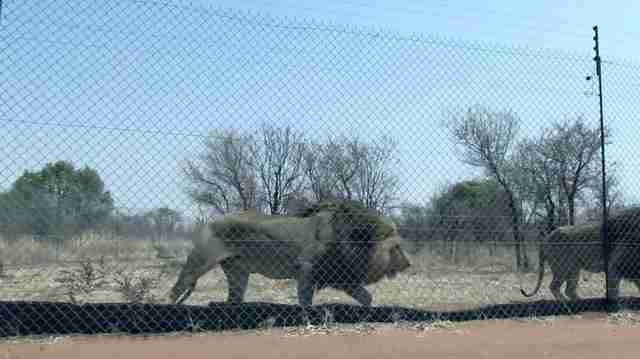 The tame lions are often baited with food so they make an easy shot. As most of those hunters are American - some estimates say U.S. citizens are responsible for as many as nine out of 10 captive lion killings - the U.S. importation ban could be a crushing blow to the industry, as few people want to pay to shoot a lion without a head or skin to show off. "The vast majority of lion trophies imported into the United States in recent years have been from these captive populations in South Africa, so our decision will likely substantially reduce the total number of lion trophy imports," Ashe said, noting that the regulations will help "halt the exploitation of these incredible animals." While proponents of canned hunts have long claimed that the staged hunting helps conservation by reducing demand for wild lions, Ashe wrote that the industry has yet to prove that the canned hunts do any good for wild populations, writing in a tweet that "Captive #lion hunts in South Africa can't show conservation benefits to wild lions." "In order to permit the import of lion trophies under the ESA, exporting nations like South Africa must provide clear evidence showing a demonstrable conservation benefit to the long-term survival of the species in the wild," he said in the op-ed. 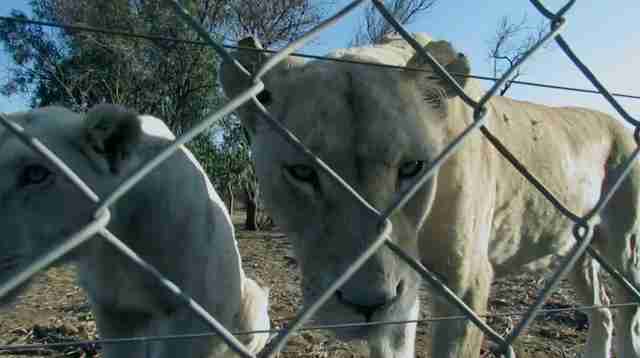 "In the case of lions taken from captive populations in South Africa, that burden of proof has not been met. Many Americans, whether they hunt or not, believe that hunting captive-bred lions is unethical. Regardless, our decision to prohibit such imports is based solely - as the law requires - on our evaluation of the conservation benefits of captive lion hunts. If and when such benefits can be clearly shown, we may reevaluate our position." The canned trophy ban is just the latest fall-out from the December decision to list lions under the ESA - and the protections come just in time. Lions have lost around 95 percent of their population since the 1940s; there are only around 20,000 left in the wild, with hunters legally killing another 600 wild lions, or 2 to 3 percent of the total population, each year. Even more are lost to poaching and livestock protection. Ashe said that the trophy ban is just one part of a multi-faceted approach designed "to engage and empower local communities - helping them to view lions as an asset, not a liability." He noted that the population of sub-Saharan Africa is expected to double in the next few decades, placing lions even more at risk for rapid extinction. "Even protected areas are affected," Ashe wrote. "Humans are also depleting the wild prey that supports lions, consuming these animals and selling them as bushmeat, or wild-sourced meat. Faced with declining habitat and prey, lions are increasingly targeting livestock and people - resulting in retaliatory killing of lions." The U.S. plans to provide continue to fund conservation efforts, Ashe wrote, as well as work with law enforcement partners to halt poaching and local partners to reduce lion-human conflicts. However, it's not all good news. Ashe also supported legal wild-lion hunters, claiming in his op-ed that big game hunting - in South Africa at least - can play a part in successful conservation programs. "[Hunters'] participation in well-managed hunting programs can help advance the conservation benefits," he wrote. "We have determined that sport hunting of wild and wild-managed lions does contribute to the long-term conservation of the species in South Africa, thanks to the effective management program overseen by South Africa's Ministry of Environmental Affairs ... 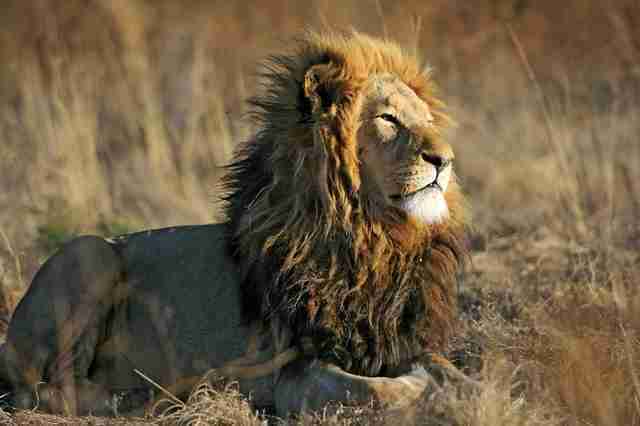 It's important to understand that lions are not in trouble because of responsible sport hunting. The U.S. is still reviewing requests by Mozambique, Namibia, Zambia and Zimbabwe to permit trophies from their wild lion hunts to be imported into the U.S. However, the claim of sustainable hunting is highly contested. While big game hunters say that wild hunting helps funnel money into local villages, as little as 3 percent of that money actually reaches locals, as most of it is siphoned off by hunting middlemen and local governments. And current hunting levels - which permit up to 3 percent of wild lions to be killed each year - are entirely unsustainable, and have contributed to a significant, and ongoing, decline in wild lion populations. But with the future of wild lions so precarious, any step counts - and the decision to stop the importation of canned hunt trophies could mean the beginning of the end for an industry that thrives on the suffering of lions. 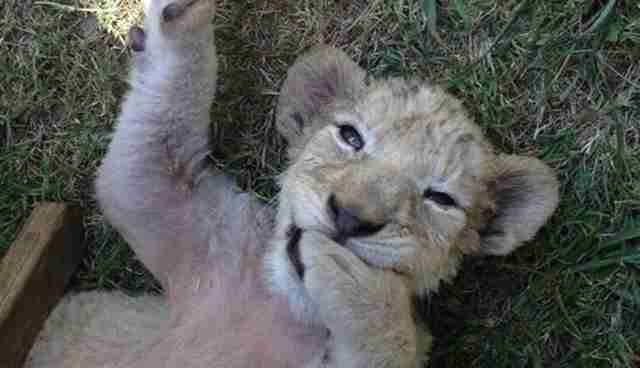 "Today's findings - and the actions we take as a result - support effective lion conservation," Ashe said. "Most of all, they demonstrate our unflagging resolve to sustain wild lions for generations to come."